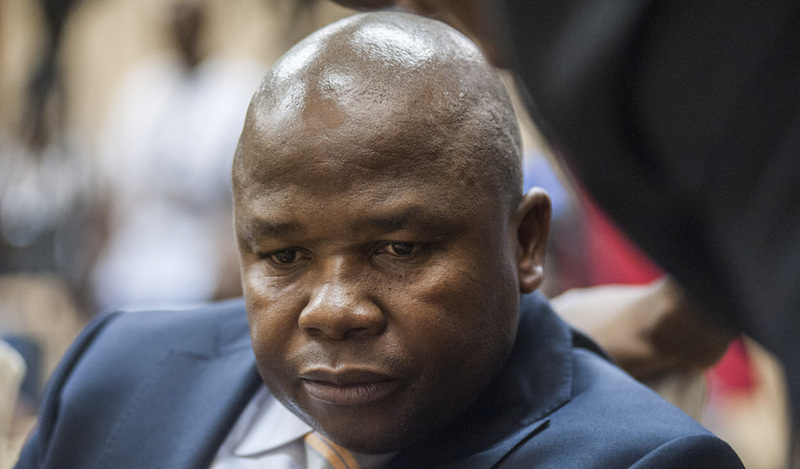 I see that the best Finance Minister this country has ever had, Des (Weekend Warrior) van Rooyen, has been getting some stature-raising press of late with the news that half a million rand has been spent for his few months’ stay at a boutique hotel – to the manor born as they say. While we wait for another decade or two for the revised ministerial handbook, I think a timeous warning is called for. It’s true that he was an overnight sensation and a legend in his own lunchtime but when it comes to living snout deep in the trough – at taxpayers’ expense of course – he is, in this regard, a callow stripling, a rank amateur, an appy and he must not get ideas above his station. He walks in the shadow of legends, not least my personal favourite, the late Roy “Room Service” Padayachie of whom more anon. Now it must be said, that the Communications Ministry has a certain aura, a je ne sais quoi, when it comes to snouting and a long list of ANC trough legends in that department have consistently striven to raise the bar. In this regard van Rooyen found himself at a disadvantage. He had, in his brief sojourn as Finance Minister, no role models. Let’s, therefore, keep our sojourn on the dark side as brief as possible by joyfully recalling former Communications Minister Dina Pule, the Christian Louboutin fan who cavorted with her lover in some of the world’s plushest hostelries at your expense and mine. They could easily have paid for their own accommodation given that he is alleged, in tenderpreneurial terms, to have “chowed” (with her help) R6m for four days “work” at the ICT Indaba in 2012. When she was forced into a justifiably insincere apology in parliament by that notorious killjoy, Ben Turok, her go-with-the-flow rentier colleagues, recalling the halcyon Travelgate days, rushed to console her, and rightly so. Pule will, I am sure, acknowledge that she learnt at the feet of a master snouter, Roy ‘Room Service’ Padayachie who she succeeded as Communications Minister in October 2011. In 2010 the Sunday Times revealed that he had lived a multi-million rand “suite life” for years: “Newly appointed Minister of Communications Roy Padayachie lived in a five-star hotel several days a week for four years at a cost of around R5000 a night – a few hundred metres from his official residence, which he deemed not good enough. “Padayachie cost taxpayers an estimated R2-million while living it up at the Sheraton Hotel in Pretoria. That excludes his room service bill. Acknowledging his dedicated commitment to living the good life at the expense of the taxpayer, the newspaper gave him the apposite nickname of “Room Service”. In August 2013 Parliament was told that Padayachie was one of the ANC’s elite who loved to travel – as a passenger of course – in hired luxury cars even though he had an official car. In the process he blew R1.2 million. As an ANC MP, you are a member of the “Broad Church” and, while depleting the fiscus, you are expected to humbly acknowledge your metaphorical debt to the ‘collective” and its patronage ethos. One of Padayachie’s trough mentors in the Communications portfolio was undoubtedly Siphiwe Nyanda, the “Minister of Luxury” as the Mail & Guardian called him. R99 810 on two visits to Auberge Michel and R85 at Palazzo Mede in June. Living the good life also means that, with a languid wave and a murmured “Let them eat pap – but no vleis” you acknowledge the starving masses as your blue light convoy consisting of pimped-to-the-max blingmobiles races to your next VVVIP meeting. Nyanda thus insisted on only the best for his blue light convoy, buying not one but two 7-series BMWs and he then pimped them to the max – without spending a cent of his own money. In other words, not only did the department spend R2.2 million on new, top of the range cars, it spent an additional R150 000 on a series of features which can only be described as frivolous and a massive waste of public money. While van Rooyen still has a long way to go in the snouting stakes, he will be comforted by the thought that when he is “called to higher service”, his exploits will be recalled with suitable pomp and ceremony – as was the case with Room Service Roy. In the opening sentence of this two-hour, live SABC broadcast, political reporter Vuyo Mvoko justifiably called him a “fallen hero”. Van Rooyen will also be comforted by the thought that he is highly regarded by President Jacob Zuma who is widely respected.